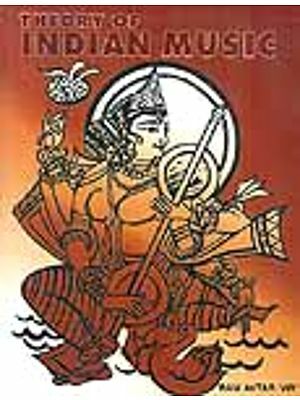 This book is a systematic and contemporary of the uniquely Indian phenomenon of raga, which forms the foundation of the musical culture of India. Maestros speak with total conviction of a raga as having a personality. A raga must therefore be viewed not only as the governing authority of musical performance, but also as an archetype pregnant with culture meaning. 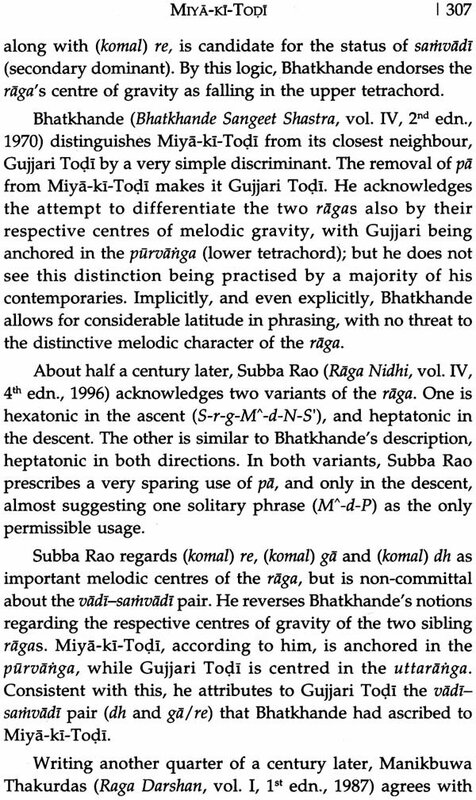 The exploration of raga-ness, therefore, can begin with the grammatical coordinates of ragas, but cannot stop there. This book attempts to extend the scope of the enquiry to cover several other facets of ragas examining the manner in which they participate in the cultural process. As such, this book provides valuable insights to scholars, researchers, connoisseurs, as well as performing musicians. 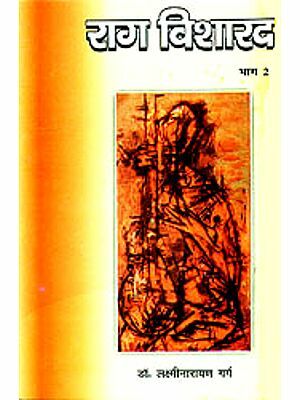 Written by an author of established credentials as musician, researcher and writer with three acclaimed works to his credit, this book explores the subject through conceptual essays in Part I, and case studies of ragas are supported with references to authoritative texts and reviews of recording by recent and contemporary maestros. 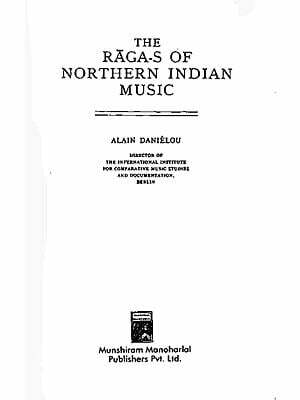 Written in the author’s lucid and masterly style, this book makes complex musicological concepts accessible to on-academic readers, and contributes significantly to widening the understanding of role of ragas in the musical culture. Deepak Raja (born 1948) is amongst the most respected writes on Hindustani music today. He works as Repertories analyst for India Archive Music Ltd. (IAM), New York. 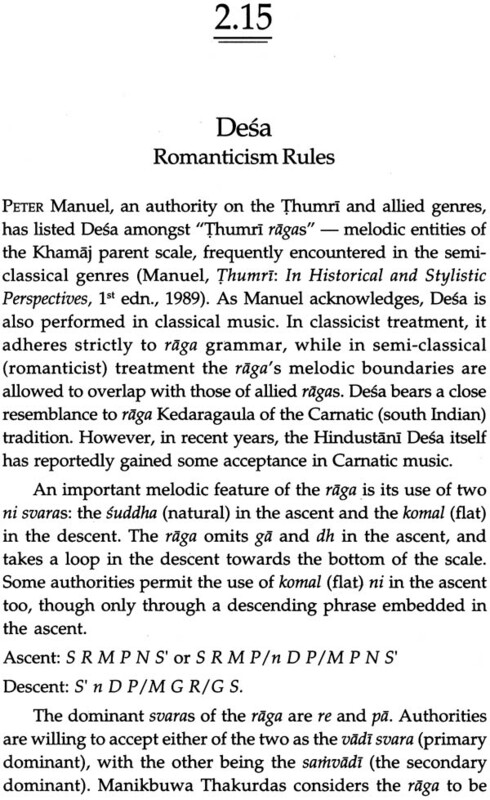 In 1999, he co-edited the Indian Musicological Society’s publication Perspectives on Dhrupad. His first book Hindustani Music: A Tradition in Translation, Was published in 2005. His second book Khayal Vocalism: Continuity within Change, was published in 2009. His third book, Hindustani Music Today was published in 2012. In 2009, he was granted a Senior Research Fellowship by the Ministry of Culture, Government of India. For his contribution to Hindustani music, he was awarded the Vasantrao Deshpande Smruti Sanman in 2013, The Gujarat Gaurav Award in 2014, and Ashok Ranade Memorial Award in 2015. He runs a respected blog on Hindustani music: https://swaratala.blogspot.com. Deepak Raja is a sitar and surbahar player of the Etawah Gharana. 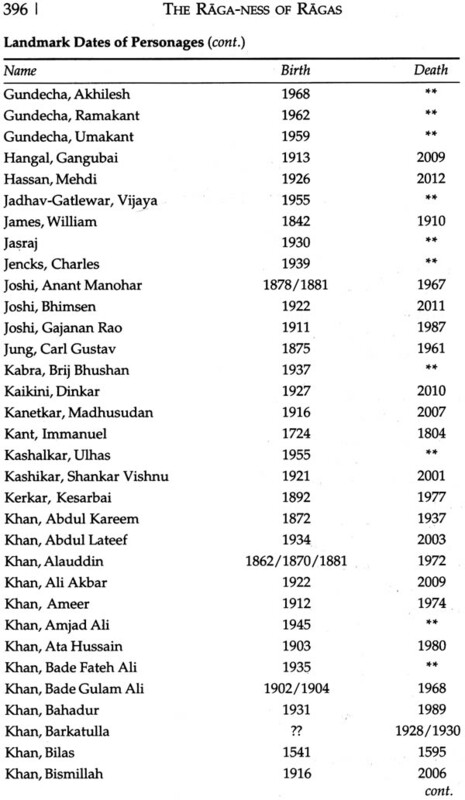 He also studied Khayal Vocalism of the Jaipur-Atrauli Gharana. A multi –faceted personality, he was the Editor of Business India, and Secretary General of the Indian Newspaper Society. When we talk about Indian music-whether it is Hindustani or Carnatic; dhrupad-khayal or git-ghazal; classical, semi-classical or light-it is more often than not about raga-sangit. 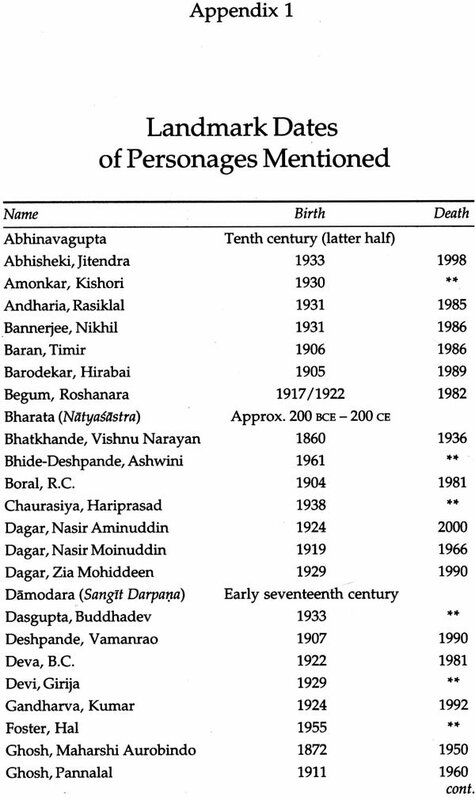 The concept of raga is perhaps as old as Bharata’s Natyasastra, written approximately 2,000 years ago. 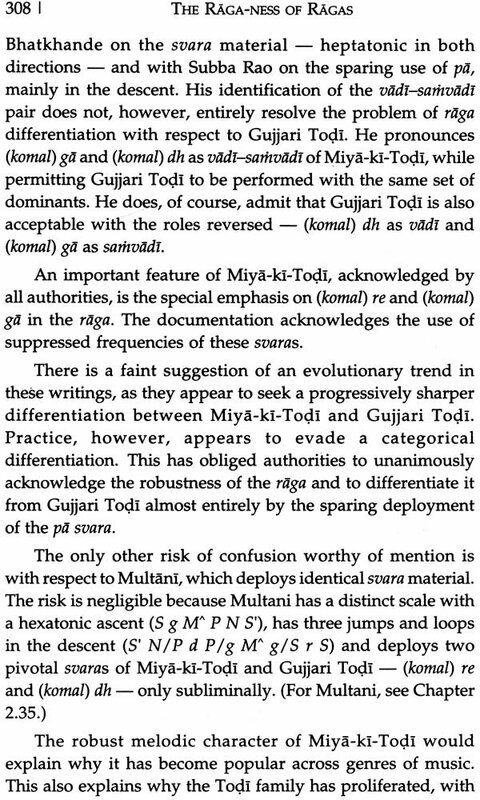 Thought there is no mention of raga in this treatise, the description of jati-gayan appearing in its is similar to the raga. 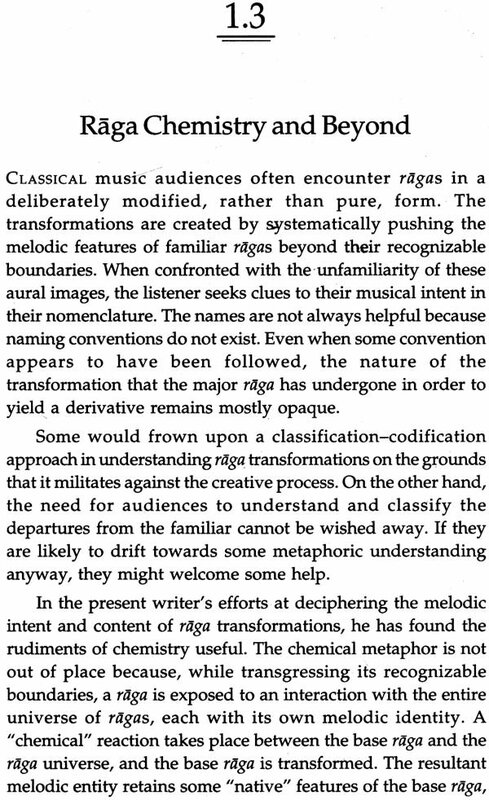 The concept of raga reigns supreme in classical music (nowadays being referred to as “art” music)which distinguished itself by relying the most on the two very basic components of music for communication, the svara and the laya, and not so much on the spoken word, which is the characteristic of the “lighter” genres (popular, film, folk, etc.). 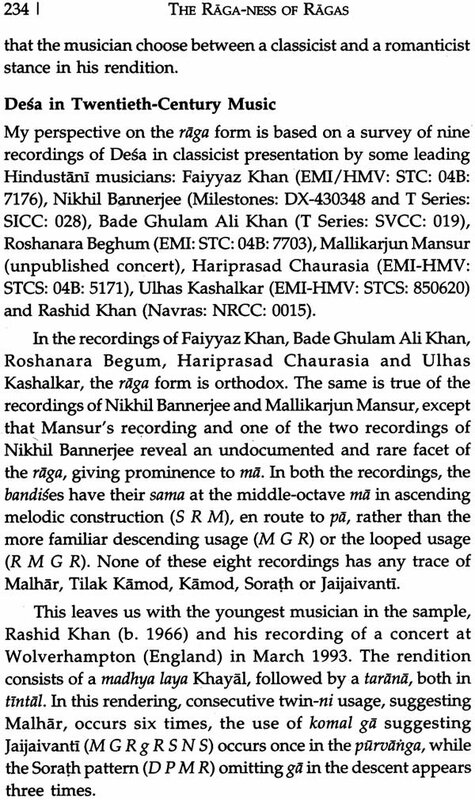 Since the days of Bharata’s Natyasastra different scholars have written about different facets of ragas. 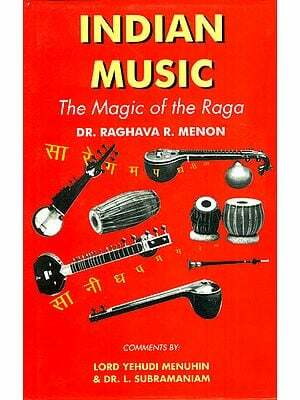 What is the place of a new book on Raga-ness of Ragas? The pursuits of “raga-ness” of ragas is a matter of continued contemplation for perhaps all practicing musicians, I am no exception. We keep dealing with raga on an everyday basis, whether while performing or doing riyaz-approaching them from different angles, trying new avenues of exploring the raga, developing one’s own kahan in the raga. Yet, the pursuit seems almost always incomplete. I never feel satisfied of having “found” the raga. What is a raga? Is it a selection of notes? A scale? A particular phraseology of selected notes? An interesting composition/structure/ architecture of the phrases? A mood? A personality? An organic existence? ... Perhaps all of the above. 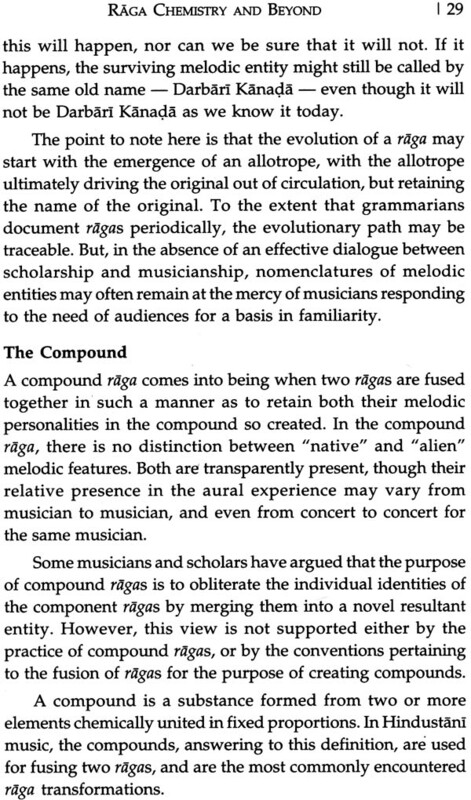 The qualities essential for any composition to be referred to as raga have been well documented from time to time. The concept of a raga is quite well established in Indian music. But, a raga is Sometime more than all the qualities listed above; and this observation is also well known to the researches of raga sangit. This “something” is what attributes the raga-ness to the raga and is therefore of immense importance. Therefore, to find fresh scholarly thinking on the subject is very welcome. I congratulate Shri Deepak Raja for taking up an immensely important yet very challenging topic. Deepak bhai was born in an eminent connoisseur’s family and trained under stalwart gurus in bout vocal music as well as the sitar and the surbahar. Combining his training with rare intelligence and analytical power, Deepak bhai is eminently competent to handle a subtle and yet complex topic like this. One may not agree with everything he says. 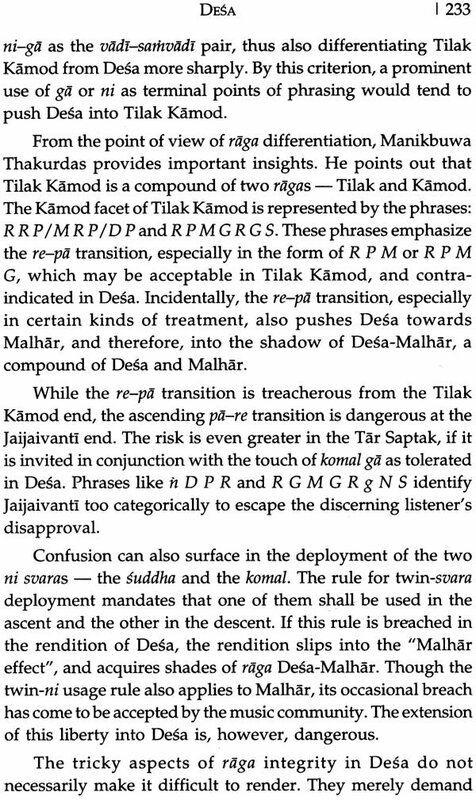 For example, in the book in the chapter provocatively titled “Kedar at Sunrise?” he proposes that perhaps the time theory for the raga is on its way out. I tend to be more conservative than the author and would prefer to present a raga at its stipulated time. A substantive scholarly document is not necessarily one with which everyone agrees but one that can spawn debate, discussion on many issues and spawn other scholarly documents. Deepak bhai’s book passes this criterion. I hope the readers find his thoughts as interesting as I did. 1. Raga grammar (melodic and aesthetic) in which he has discussed the selection of notes in a raga, its vadi/samvadhi, anuvadi and vivadi svaras, nyas and amsa svaras, raga jatis (audav, sadav, sampurna, etc. 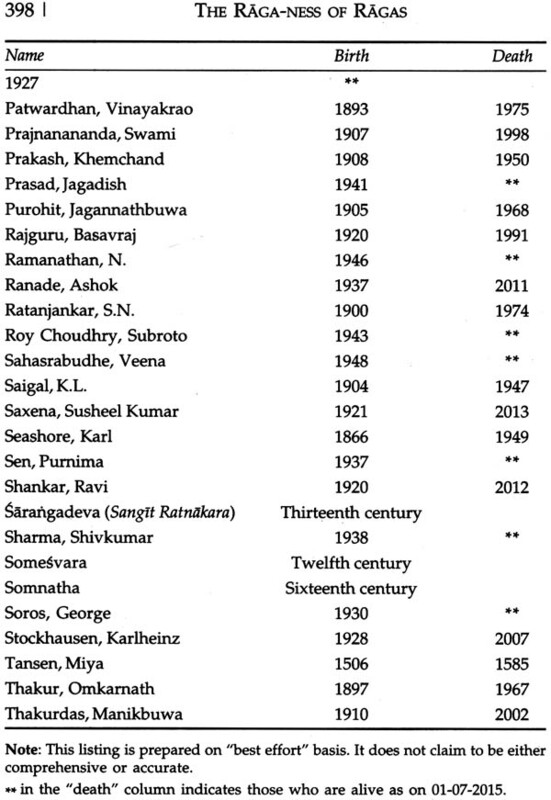 ), Purvanga-madhyanga-uttaranga, alpatva-bahutva, aroha-avarhoha, chala-pakad of a raga. Almost all these factors are well documented in the past. 2. Aesthetics of a raga: raga authenticity, evolution of ragas, dos and don’ts in a raga, artistic liberties, etc. 3. 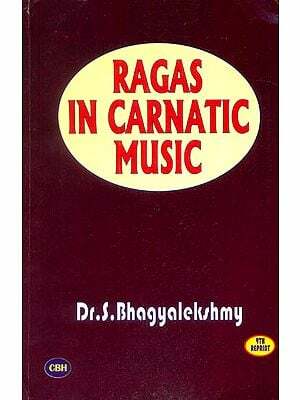 Raga chemistry: This is with reference to the more complex ragas; and is based on both grammatical and aesthetical issues. 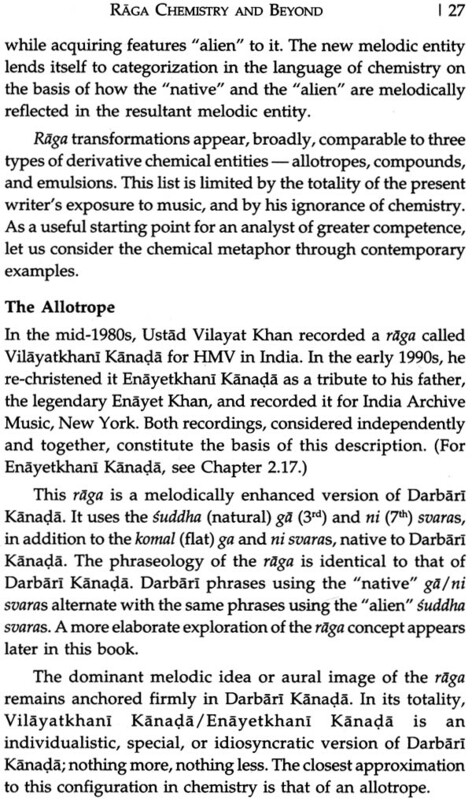 Being a trained biochemist, I have particularly enjoyed his classification of ragas in categories like “pure”, “allotropes”, ”compounds” and “emulsions”! 4. 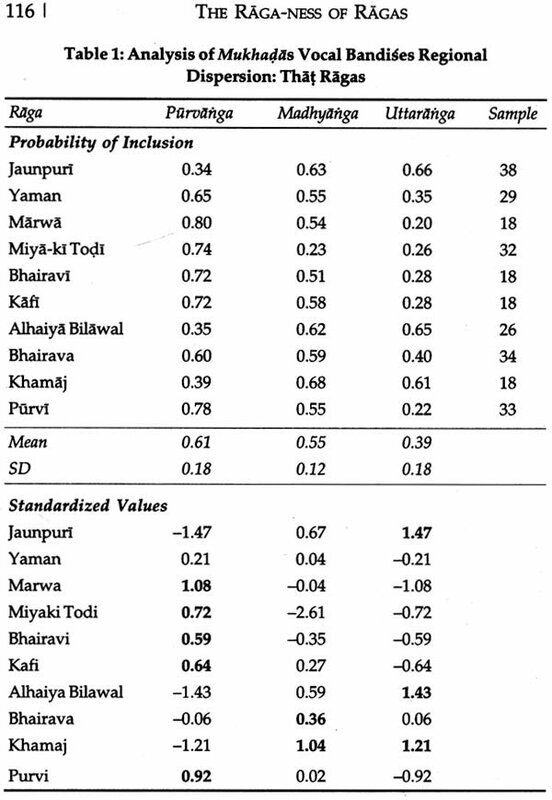 Psycho-acoustics of a raga: in which the connection between the aesthetic and emotional appeal of the raga is attempted. 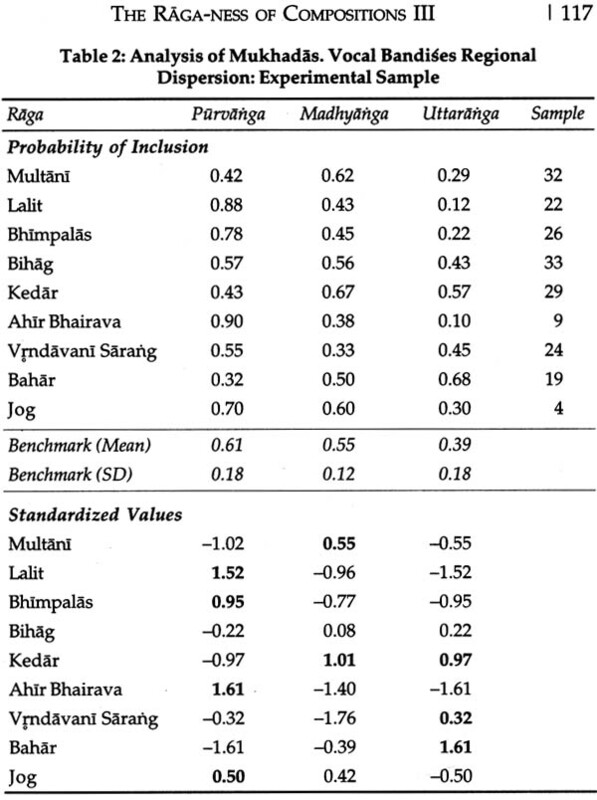 It is said that normally one requires a selection and presence of a minimum of four of the seven svaras in a melody for it to quality as a raga. By making permutations and combinations of selected svaras, it is possible to mathematically arrive at thousands of combinations; today’s techno savvy generation can feed the requirements of a raga to a computer and give us the data output of the results few thousand ragas! But only some of these combinations pass the test of “emotional appeal”. According to a definition, ranjayati ti ragah, the svara combinations/phraseology/compositions should please the ears appeal to the intellect, sooth the mind and touch the soul. Only then it will acquire the status of a raga. As a performing artist, finding a purpose for the raga is as important to me as describing or defining it . What do I use my raga for? The raga is my vehicle for “my expression”. Expression of what? Is it true that an artist wishes to communicate “something”; or is it something inside an artist that is eagerly waiting get expressed? In that case, is its expression dependent on the wish and will of the artist? Without the raga as an appropriate vehicle/ tool for the communication the “something” that is being communicated could easily be lost. What is this “something”? …Perhaps fifteen years have passed… I have spent these years figuring out where to start looking for the Raga-ness of Ragas, and where to stop. I am still a long way from the stages where “everything else will fall into place”. I guess the performance and the parallel scholarly pursuit is a process where the journey is as or more important than the destination. This a process that will go on, this book being a thought-provoking contributory milestone along the way. 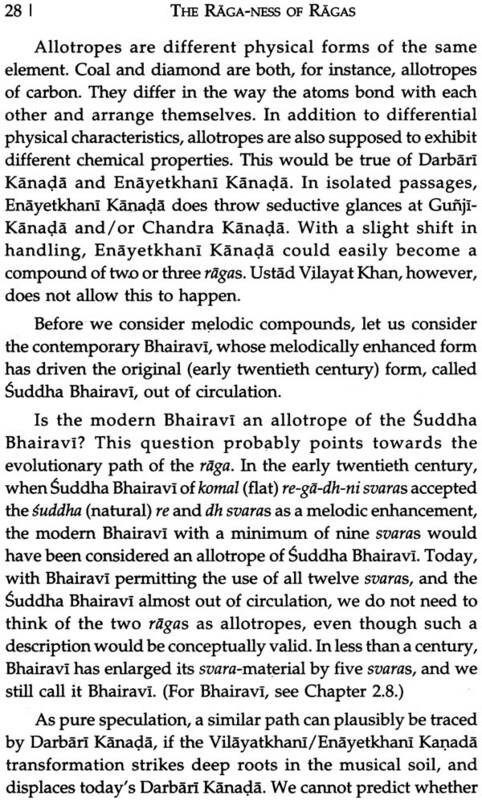 In the Khayal genre of Art music, the raga needs to be like an architectural. My training in the Jaipur-Atrauli gharana tradition teaches me to essentially “build” a raga when I am presenting it. Sometimes my presentation is long and elaborate and sometimes short and to the point. Sometimes, I find myself building a big monument-a castle or a temple, sometimes only a little hut. At other times, I find myself –not building-but drawing/paining-natural beauty, scenery, figures, shapes, geometrical patterns-sometimes only splashes of various colours. At other times, it is a sculpture, a carving, a dance or embroidery… the list could go on. When I am “building” a raga needs to be structurally sound and strong, aesthetically proportionate and graceful, functionally viable and meaningful. Even after achieving all this, sometimes, the raga structure fails to satisfy the artist and also to touch the soul of the listener. When I introspect why this happens, I find that that event though all the structural elements are present in their place and aesthetic proportions, the idol of the raga-deity has not yet been established at the centre of the structure! This establishment has to be intensely personal, or else the artist fails to touch the raga. Is this center-piece the raga-tattva? Difficult to say. I once had a particularly challenging recording to analyse. In search of superior Wisdom, I took it to Prof. Ashok Ranade. His advice after listening to the recording was-focus on the raga-tattva (raga-ness) and everything else will fall into place. I then asked him-where does raga-ness begin and where does it end? His answer was-you have to figure that out. Fifteen years or more have passed since that conversation, and I am still figuring out where raga-ness begins and where it ends. And, I am not sure about what else-if anything-has fallen into place. This book attempts to share what I have understood so far, and the issues I have grappled with. The book is divided into two parts. Part I consists of a conceptual exploration of raga as a cultural fore and as the regulating authority over composition and performance. Part II features case studies of ragas which, collectively, demonstrate the many ways in which I have attempted to understand raga-ness. 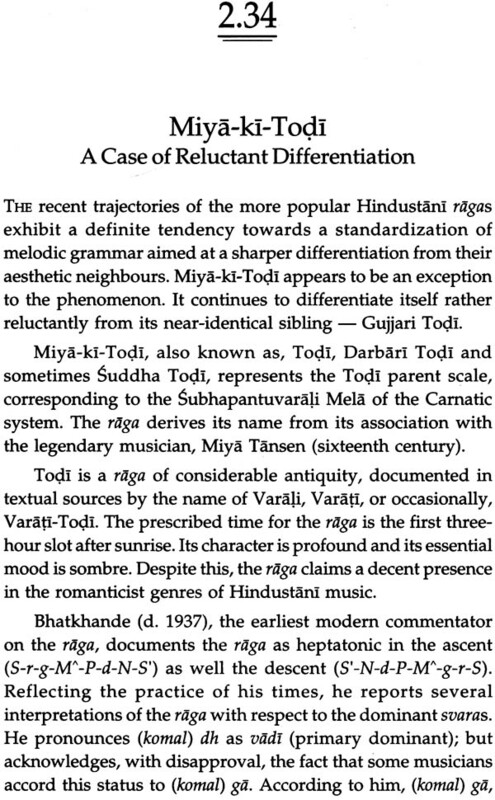 By way of a backgrounder, I have reproduced in Part I four chapters from my first book Hindustani Music: A Tradition in Transition (D.K. Printworld, 2005). The remaining chapters of Part I explore some grammatical, aesthetic, and performance related facets of raga-ness. The case studies in Part II are discussions on the raga I have studied as a part of my role as Repertoire Analyst for India Archive Music Ltd., New York. Collectively, these case studies contribute substantially to the conceptual understanding of raga-ness, supplementing as well as complementing the discussions in Part I. 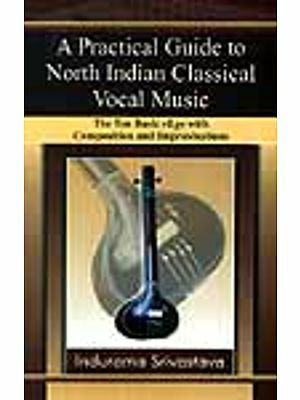 The book includes tabular comparisons of the Hindustani music scale with the Carnatic and Western music scales along With the notation symbols I have used, a select bibliography, a glossary of words in languages other than English, and an index. 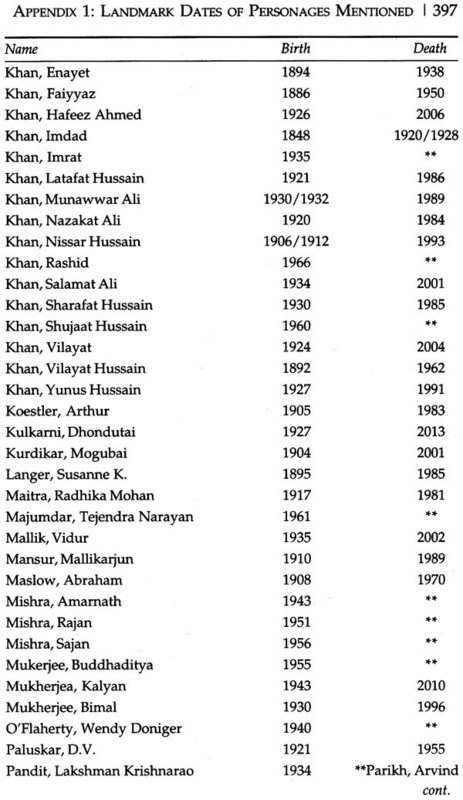 The Index is divided into four sections-(1) Index of ragas, (2) Index of musicians mentioned, (3) Index of authors/ authorities cited in the book, and (4) Index of gharanas/stylistic lineages mentioned. This method of organizing the index will, I trust, make the work more useful. The book features an introduction by Lyle Wachovsky, Managing Director, India Archive Music Ltd., who has supported my evolution as a musicologist over the last two decades. I feel pleased to include here a Guest Essay by Dr Allessandro Dozio of Lausanne (Switzerland). 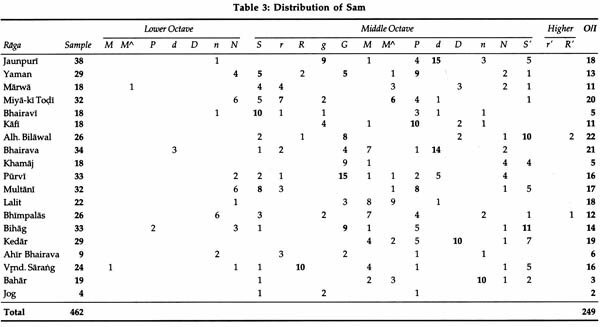 His paper explores the idea that, like Hindustani music, Western classical music may also possess identifiable assumptions-and perhaps features-that relate specific categories of musical stimuli to the quality of emotional responses. I am grateful to Dr Dozio for enhancing the value of this book, especially for readers cultivated in the Western music tradition. Dr Ashwini Bhide-Deshpande, one of our most respected vocalists, has done this work great honour by contributing a scholarly Foreword to it. Her endorsement of my work will undoubtedly lead this book to many a bookshelf, of which it may not otherwise be worthy. I thank her most sincerely for her kindness. I dedicate this book gratefully to the memory of two departed mentors-Prof. Susheel Kumar Saxena and Prof. Ashok Ranade. Deepak Raja, in his new book The Raga-ness of Ragas, Presents an eloquent meditation on the creation and establishment of a raga’s essence or raga-ness in the form of an extensive and, more or less, comprehensive guide to the process; followed by a painstaking analysis of forty-nine ragas which, fascinating in and of itself, also serves to clarity when and how to use these general elements with respect to specific case. The guide, in consideration, is neither, necessarily, encyclopeadic nor exhaustive-there may be those who can add certain concrete elements or speculative approaches, which might serve to further refine the process and its outcome- but, only in minor rather than revelatory ways. 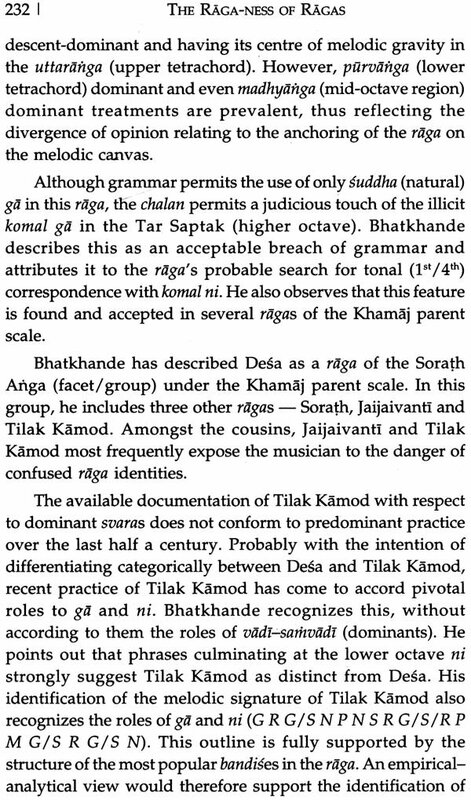 As it is-and as Raja has pointed out-there are sufficient well-grounded raga variants here and as to render the idea of a definitive delineation of a particular raga’s raga-ness impossible. The best we can do them is to take a measured view of the ways in which a variant offers different possibilities from the majority consensus. Beyond this, there is little more to be said-Raja has been scrupulous in acknowledging the limitations, problem or objections such a work gives or might give rise to-you can’t please everyone. There is a well-known story about V.N. Bhatkande’s visit to the Nepalese court, where the Maharaja was known for his appreciation and understanding of Hindustani music. The great vocalist Faiyaz Khan had been invited to sing and on the first day started with Yaman. Over the course of seven days he sang wonderfully, yet neither the Maharaja nor Bhatkande could identify what ragas he was singing, although they all had some resemblance to Yaman. After seven days of this, somewhat abashed, but yet more curious, the Maharaja and Bhatkande asked Khansaheb what he had sung during that time. The answer came: “All these days I have been singing Yaman With different Vadi and samvadi.” This book would have provided just the kind of help they needed. 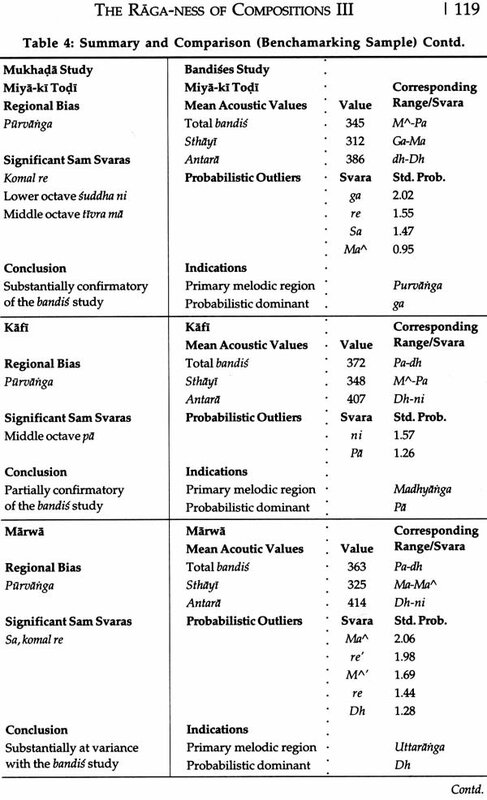 Table 2: Hindustani Svaras and Corresponding Carnatic Svaras.